When it comes time to sit down and create your social media calendar for the month, things can become daunting pretty fast. First off, as an advisor, you’re trying to keep your social media human — which means stifling your natural urge to talk about the markets. Secondly, you’re worried about making sure you’re targeting the right audience with every social media post. Then once you factor in how you’re going to keep your profile engaging and your online presence memorable, well… you’ve got a lot on your plate and likely only a little bit of time to create that impactful, human, and memorable social media presence. One of the easiest ways to fill your calendar and appear human (I’m talking to you robots!) all while engaging and targeting your audience is to recognize that each month presents you with a variety of posting opportunities. Why? Because we as a society now celebrate pretty much everything. Yesterday was March 14th, aka 3.14, aka Pi Day (or pie day, depending on whether you’re that robot who snacks on binary or a human who favors a slice of pecan). Did you talk about it? For instance, did you post about your favorite pie, or a tag a local joint celebrating this internationally recognized day (that’s right, people love pi(e) just about everywhere)? If not, what stopped you? Just about every day the of the calendar year celebrates something. Big into BBQ? There’s a day for that. Love donuts? There’s a day for that. Have an obscure interest in the use of ampersands? Guess what, there’s a day for that as well (it’s September 8th, in case any of you font fanatics are curious). Each “day” was designed as a marketing opportunity. And it doesn’t just stop at donuts or hobbies — these catchy “holidays” also carry over into the finance world. So why aren’t we embracing it? In addition to days that can add value to your social media content (or possibly your blog or podcast), there are also whole months dedicated to some very important topics in finance. April is coming up and it’s Financial Literacy Month — a big month that can be used in any financial sector (and beyond, because financial literacy is something we as a society need to work on embracing). So how do you post about it? Do you have any existing resources on finance? Share them! Whether you have blog posts discussing the different values of traditional vs. Roth IRAs or you have budget samples or checklists, let people know! All of the resource you produce help people become more financially literate with every read. There’s an app for that. Whether it’s an app you love to share with your clients, or an app you’re interested in exploring yourself, let people know about it! Ask for feedback as a way of getting some engagement and to see what your audience thinks about financial apps. Showcase an expert! Perhaps financial literacy for children isn’t in your wheelhouse, but you know someone who is an expert and has the resources to help parents or grandparents teach financial skills to the next generation. Give this person a shoutout on your social media, invite them to be a guest blogger, or host them as a guest on your podcast! Also, if you on’t have a podcast — we’ve got you covered. Share some quotable financial tips with a graphic one day a week. Graphics can enhance the look of your social media, and it’s a great opportunity to reinforce the fact that you are an expert at what you do. And finally, if you’ve got the time and knowledge, why not make some resources for this month and share them? 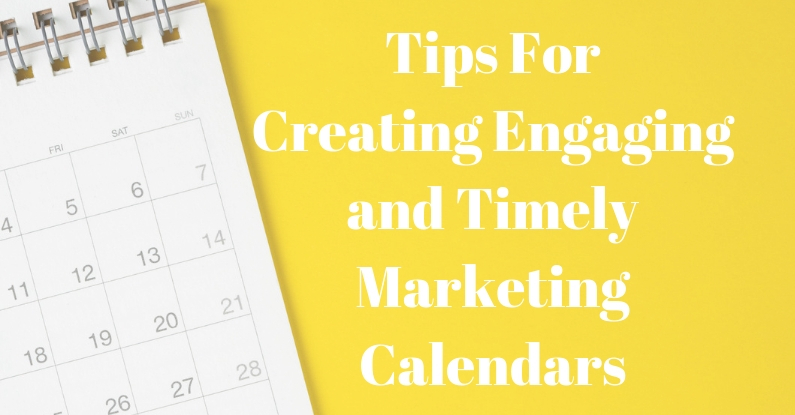 I realize this post is supposed to be about saving some time on your social media calendars, but worksheets and checklists on finance are evergreen, so if you’re looking through your website and coming up empty-handed, this may be the opportunity to make it happen. And that’s just the tip of the iceberg when it comes to creative ways to discuss financial literacy! Just about every month of the year has opportunities like this, and they’re often easy ways to share your knowledge, highlight your expertise, and engage your audience. January – Taxes Month. With the new year comes closing out the old, and taxes are on everyone’s brain. Be sure to recognize this time in your clients’ lives, and perhaps invite a local CPA you’ve worked with to speak to your audience. February – Insure Your Love. There’s nothing like taking a Hallmark holiday and transforming it into something valuable. This is a great space for you to discuss life insurances and the long-term benefits for your clients. Not an insurance expert? Find someone who is and coordinate with them! March – Women’s History Month. While they’re 51% of the population, everyone knows the financial world is a male-dominated field. Why not take this opportunity to showcase some of the inspiring women you know in finance? May – Disability Awareness and Gap Coverage Month. In May you’ve got two for the price of one! Discuss some of the unknowns that make gap coverage so valuable or bring on an expert to discuss disability awareness. Let people know these services are out there and be sure to provide some great story examples to highlight their value. September – Life Insurance Awareness Month. Did you miss out on your message in February? The year affords you a second opportunity to discuss the importance of life insurance. October – Critical Illness Awareness Month. Life altering illness happen. Critical illness insurance is an area of coverage that’s easy to overlook. Find some awesome infographics, or share a blog or podcast that highlight why you should have protection against critical illnesses. November – Long-term Care Awareness Month. This month coincides nicely with the Medicaid enrollment period which makes it easy for advisors to highlight the value of long-term care insurance as a way to compensate for what Medicaid fails to provide. December – Business Planning Month. Depending on your client base, business planning month may not be as influential in your content. However, if your niche market is business owners, this would be a great opportunity to sit down with a business planning expert and highlight some of their tools and tips on your blog or podcast. Perhaps you’re not creating a lot of your own content (which is okay too!) so this would be a great opportunity to highlight a couple of experts you know or share some of your own business planning tips. So before you sit down to sketch out your next social media calendar, be sure to check out what content themes or days you can use and create your calendar. Both personal interest and professional days are going to help give your social media depth and engagement, and provide some great content for your audience. Now, let’s get planning!